Stop in and paint to celebrate! (max. 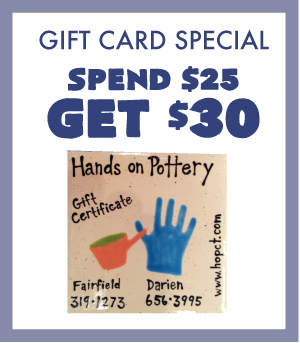 of 2 gift cards per person with this offer, in store only. Can't redeem on 1/21). ($87 value, $100 deposit at booking, minimum of 10 kids required).